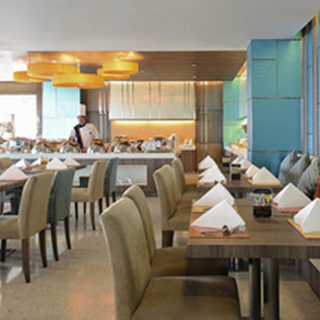 The SQUARE is Novotel’s signature All Day Dining Restaurant. The SQUARE restaurant is open from 6am. till 10pm. every day of the week. 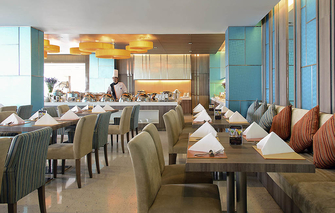 Offering breakfast, lunch and dinner buffets as well as an extensive, brand new a la carte menu. This Bangkok city hotel unveils a new menu at The Square restaurant. The vamped up tasty selection features some old Thai favorites with a new range of tempting Asian fusion and western dishes to excite your taste buds! Your lunch and dinner solution at the heart of IMPACT. Pre concert meal. Not that many choices in the immediate area of the concert hall and, after Prego, this is probably the next best. Thai food at the buffet was good, Western choices acceptable. Attentive service and warm welcome.